Jessie here from Edogg Sugarlips and Princess Buttercup. 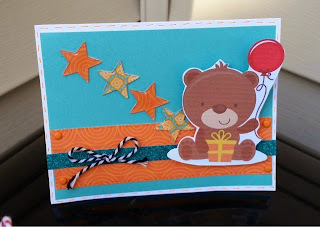 I have a fun card to share today. The adorable little bear is my wobble. For all the details.check out my blog. 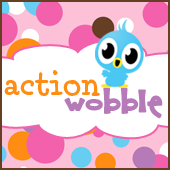 You still have time to enter the Action Wobbles challenge, shop your stash. If you don't have wobbles yet you can buy some here at the Royal Castle Shoppe.